A refurbished pub and the bistro’s second outpost. Good news for the lower north shore. 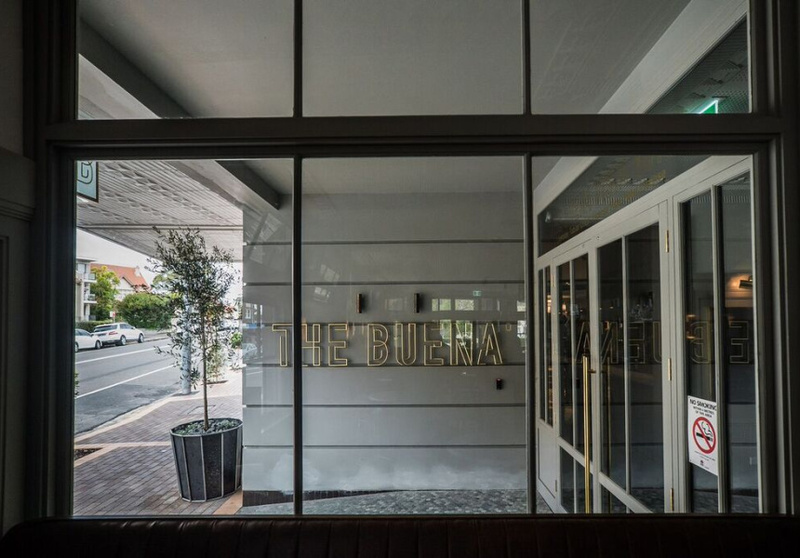 Mosman’s Buena Vista Hotel has reopened as The Buena after a six-month, $8 million refurbishment. 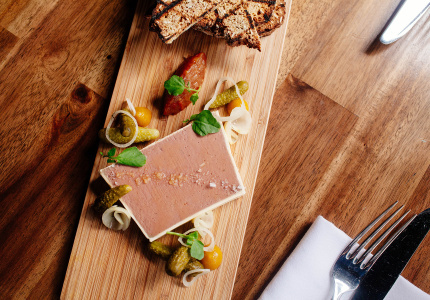 Public House Management Group (PHMG) bought the pub last year and has reopened it with the help of French chef Guillaume Brahimi of (Guillaume and Four in Hand) and PHMG’s executive chef Ben Varela. There are three separate sections. Downstairs is separated into The Buena and Bistro Moncur’s second restaurant, Bistro Moncur Mosman. Vista Bar is upstairs. 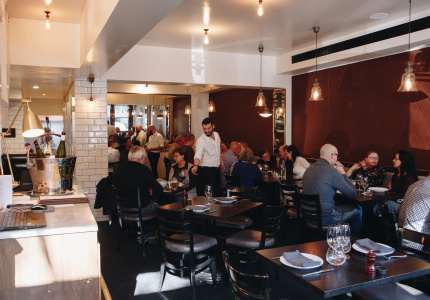 Teaming up with SJB Interiors and Tess Regan Designs, PHMG has completely revamped the much-loved local. 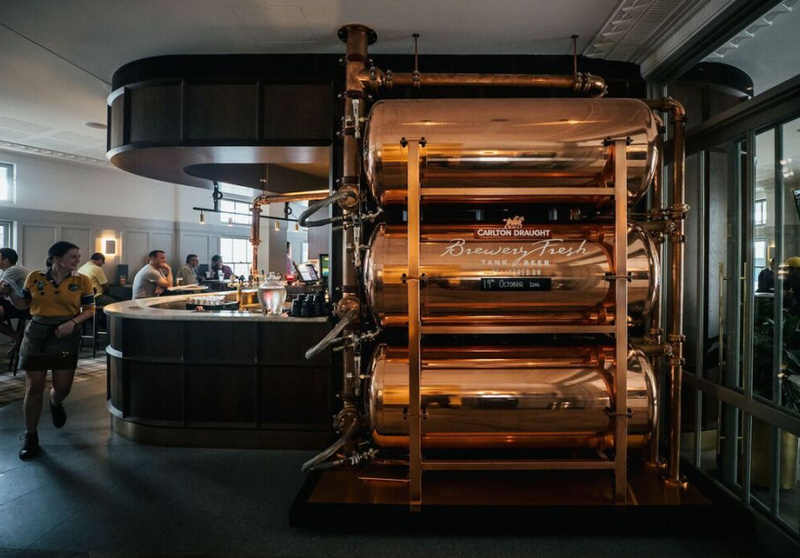 Marble benchtops, pressed leather booths, wooden panelling and brass detailing throughout gives the pub a luxe new look. 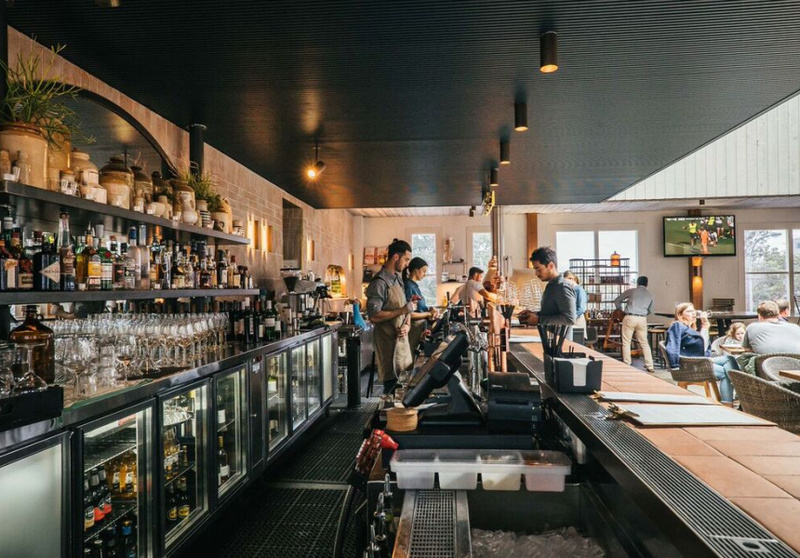 At the centre is a statement island bar with craft beers, a well-rounded wine selection and a dynamic list of cocktails created by bartender Kurtis Bosley (Four in Hand, Collaroy Hotel). The downstairs pub serves wood-fired pizzas only. Bistro Moncur opened in The Buena’s downstairs area last week. With Brahimi and Varela overseeing the kitchen at the Woollahra institution, its migration to Mosman is a natural one. “It’s somewhere you can go and have a really standout kitchen cooking your lunch but in a casual environment,” says Varela. The menu is much the same as the original, with a few new dishes such as potato and ricotta gnocchi and mango meringue with passionfruit sorbet. Try the yellowfin tuna poke on squid-ink crackers; spinach and feta cigars; barramundi tacos; or the whole roast chicken with tarragon sauce and honeyed carrots. Main dishes include miso salmon with pickled cucumber and green-tea noodles; Junee lamb with haloumi; and asparagus and crab linguini. Classic pub fare includes chicken schnitzel and a Wagyu beef burger. For something sweet choose between a classic apple pie with vanilla custard; buttermilk panna cotta; or doughnuts with salted caramel and malt ice-cream.